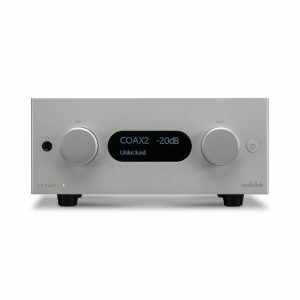 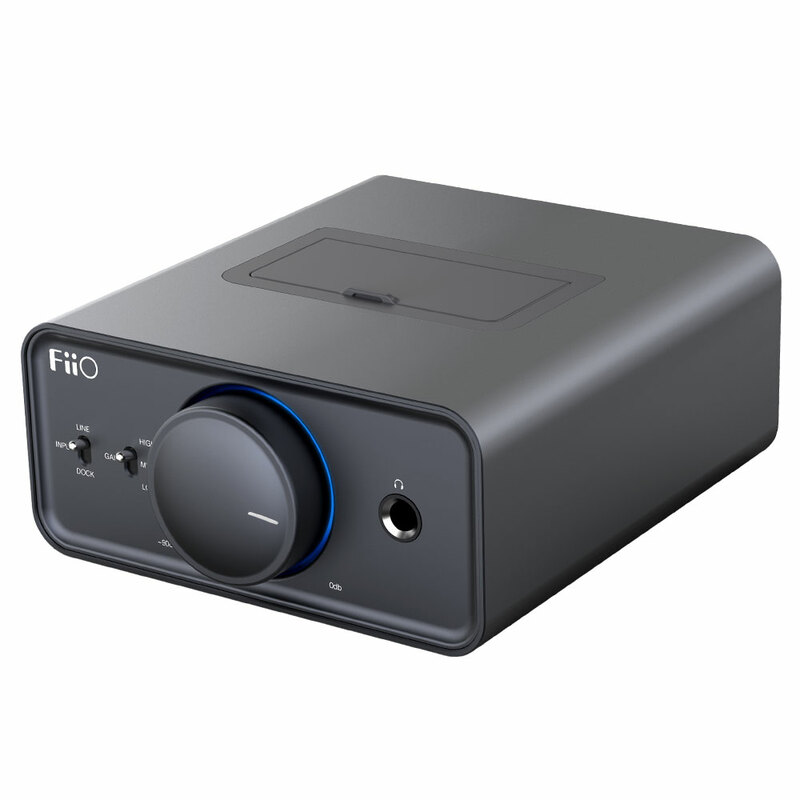 The Fiio K5 is a high quality headphone amplifier and DAC with an integrated dock for Fiio audio players, such as the X1, X3II, X5II, X7, and E17K. 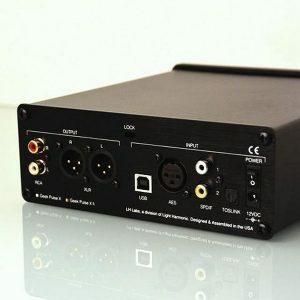 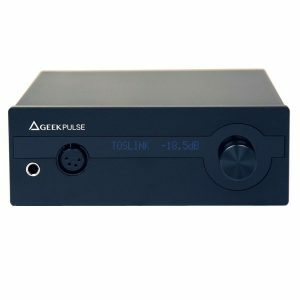 The headphone amplifier utilizes a Texas Instruments TPA6120A2 chipset, which provides an extra current amplification stage resulting in high current output suitable for highly dynamic program material. 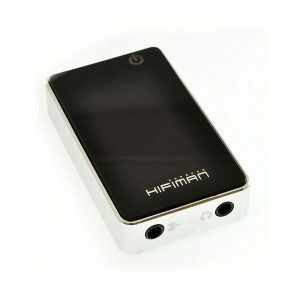 The headphone output offers three gain settings which accommodates for a variety of headphone sensitivities. 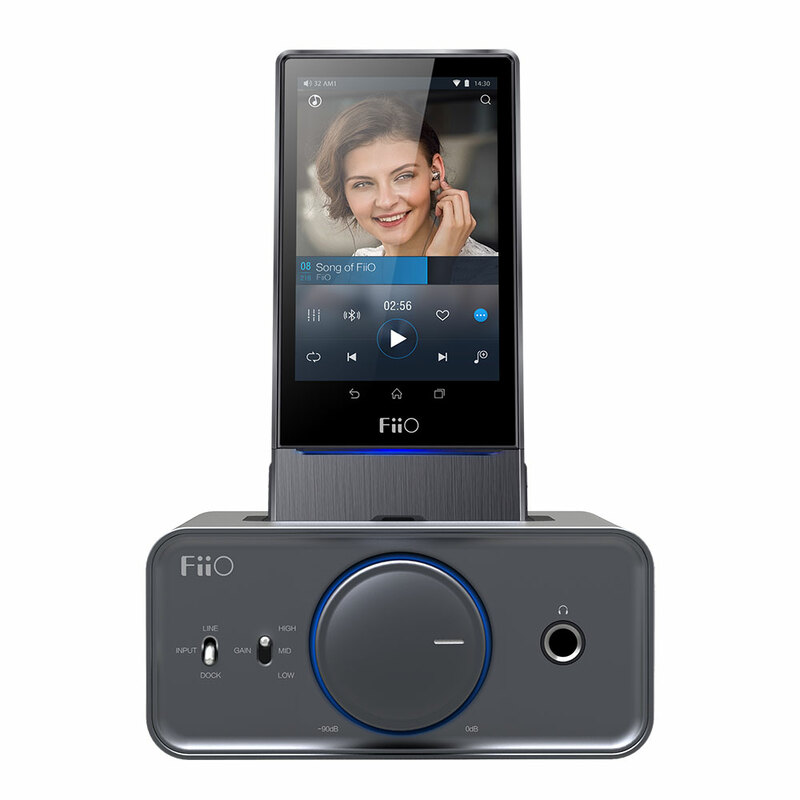 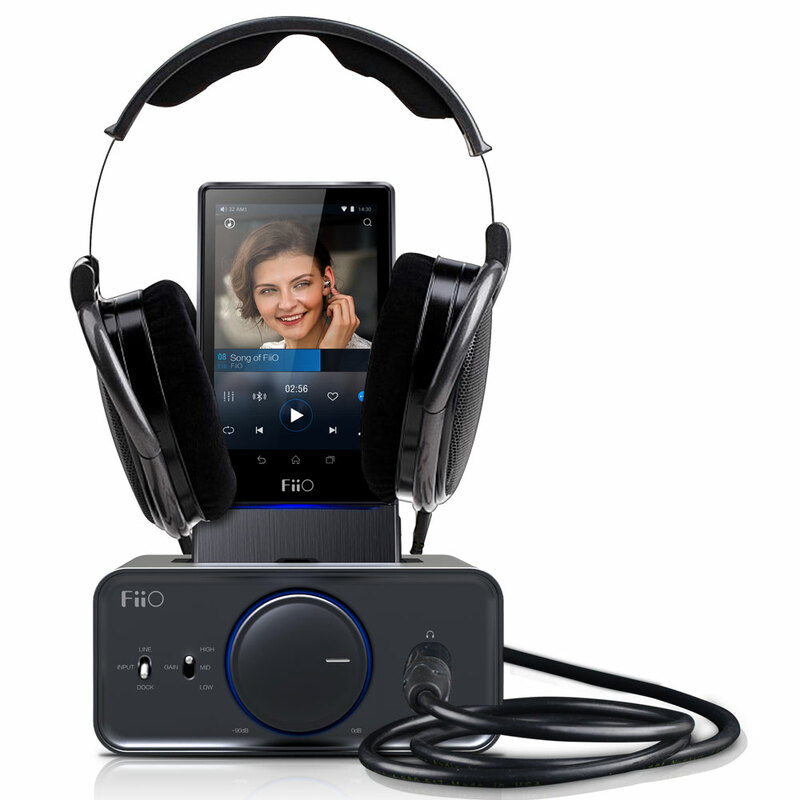 For connections, the Fiio K5 offers stereo RCA inputs and outputs, as well as a balanced output via two TRS 1/8″ / 3.5 mm. 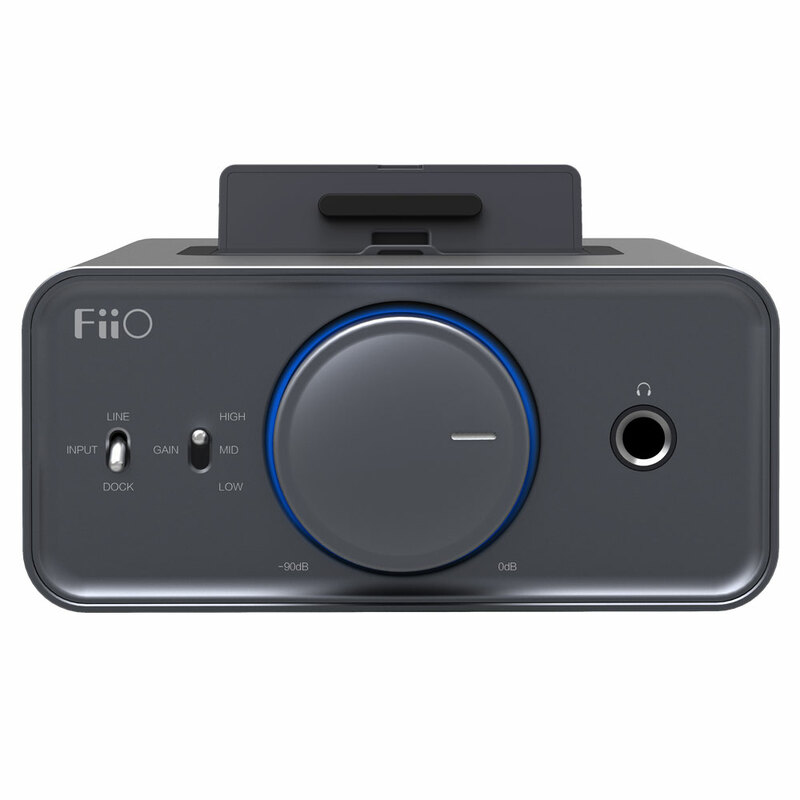 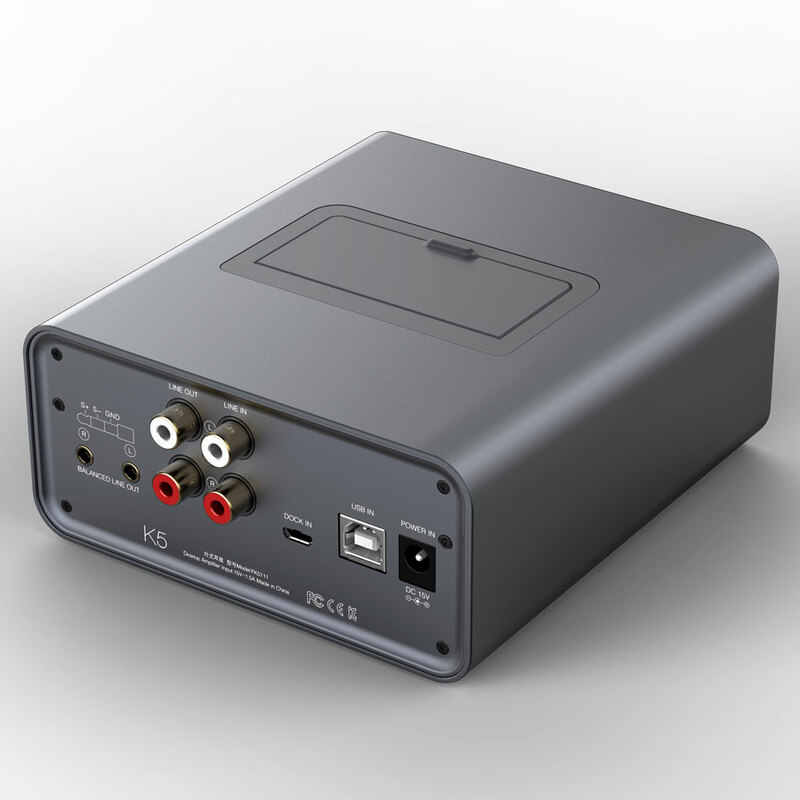 The rear dock port is a secondary input for docking Fiio players, should you wish to bypass the top loaded dock. 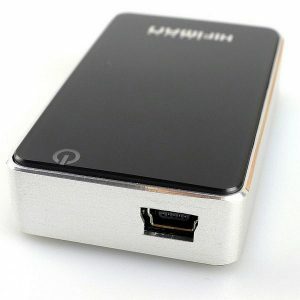 A USB port is offered as a pass through for USB functions such as USB storage read/write and USB DAC functions. 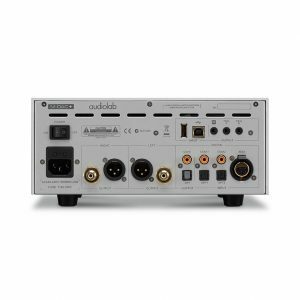 The K5 ships with a power supply.